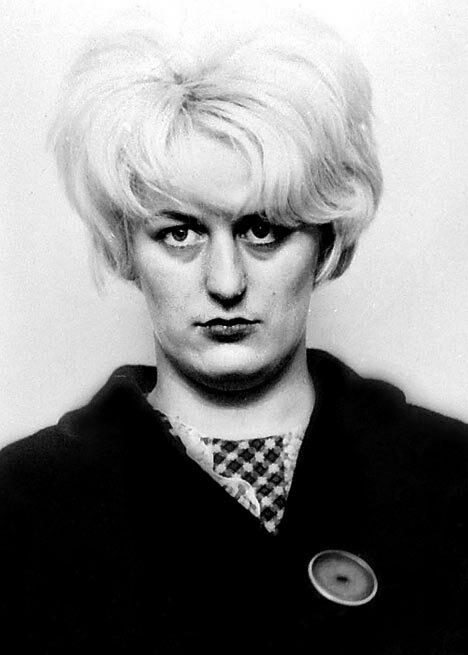 From pictures of Amanda Knox and Hatice Can, we continue to a Beatrix Campbell blast from the past on the most iconic photograph of evil ever made - that of Myra Hindley. The other picture above is one taken by Ian Brady on the Moors where they murdered their child victims. Lots of people have done versions of the picture above, but none come close to the original on any level. Whether the picture reflects 'fright', as Campbell suggests, or 'evil' as popular folklore would have it, I'm not so sure. But here goes anyway. "What if it lied? That photograph of Myra Hindley, a bottle-blonde with stark, staring eyes, commandeering our gaze, became one of the ubiquitous images of our time. The picture was put to work for almost four decades. Although there were contemporary photographs of Hindley, that image acquired iconic authority. With Hindley safely behind bars and largely silent, that image serviced a collective fantasy invested in the icon itself ­ here was a moment of transgression caught in the artifice of tarty hair, the slack, sullen cheeks, the audacious, arresting eyes. This "icon of evil" sponsored Hindley's reputation, together with the tape recording of little Lesley Ann Downey dying. Nothing Hindley herself would ever say could surpass the synergy of the words and the picture ­ it was as if the image was snapped in the moment of that atrocity, of Hindley hovering, pitiless, over a dying child. The world brought bored indifference to her mentor, the sadistic, fascistic Ian Brady. He was just another bad bloke. The icon delivered mystery and menace in the context of an assiduous campaign to make Hindley the commissar, the evil genius in that relationship. Indeed the Sun claimed yesterday that it had been responsible for the revelation that she and not he was the designer of their horror story. There is an ambiguity in that image, however, that offers us an alternative narrative. It satisfies neither that tabloid discourse of enigmatic evil, nor the sloppy sentimentality of some of her champions, nor others' quest for evidence of heroic malevolence. This picture was not taken as Hindley fussed around the little girl's desperate survival strategies. It is a police photograph taken in maximum light in a dungeon. 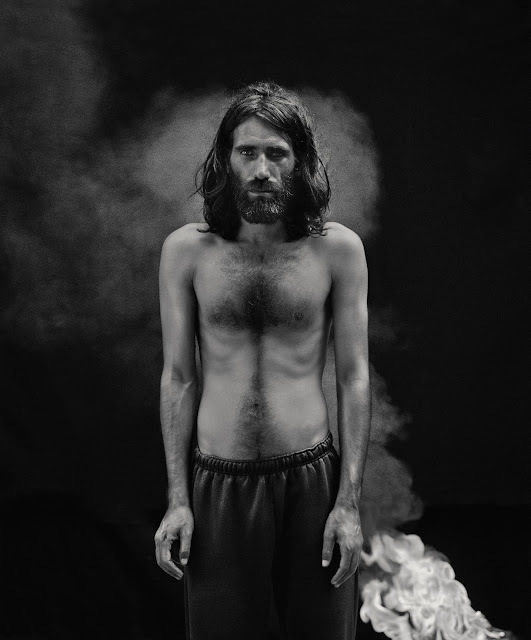 That stark, sinister expression could also be one of fright, ­ the antithesis of the transgressive transcendence conceived by Brady." Thanks for that, Sara - fascinating how photographs come about, who takes them, what they become and how different people see them. What did your dad make of the picture and how did he feel when it became the picture it became. Sadly, Dad died a couple of years ago, otherwise I would put you in touch with him. He only told me about the photo a few years ago, and I was gobsmacked. I knew he'd had a photographic studio in Stalybridge but thought it was all weddings and babies. Apparently, Greater Manchester Police had a pool of local photographers to call on, if their photographer wasn't available. My dad was a Yorkshireman so didn't express too much emotion about the whole thing when I asked him. I suppose it was a few months after that he would have found out what she had actually been arrested for. At the time, he had three children (I was born in 1967) so I am sure it hit home that Hindley's crimes were abbhorent. We regularly used to go to Ashton market and I know they picked up one of their victims there. I grew up with the Moors Murders being a shadow over Manchester, but it took years for me to understand that we had a family connection to this terrible event. Feelings still run high in Manchester so I would never want to cash in on it. It's a gruesome claim to fame really. It is gruesome, but it is quite a photograph - I always wonder if it's gruesome because we know who it is or if there is something in Myra Hindley that makes it that way. I think the former really, but it does stand out in a way that makes it one of the most recognisable photographs ever. What do you think of the art inspired by the picture - the Kate Moss and Pete Doherty version, the Marcus Harvey handprints for example. And thank you so much for sharing your thoughts - I'll put them up on a blog post if that's OK.
Did your dad do the Brady picture as well. Hi Colin, fine to do a blog post on this. No, he didn't take the Brady photo. I actually tried to contact Marcus Harvey but I didn't succeed, he probably thought I was a nutter! I think the photo is pretty much a 20th century icon so I can understand why people want to recreate it, despite its unpleasant history. I have wondered about writing a book but don't want to exploit the misery of all the families involved, especially the poor woman who has never had closure on the death of her son. I don't know about a book but it would be interesting to hear more of your thoughts on the picture and how it was made, affected your father. But as you say, there are so many still open wounds on this - and I think the picture is very tied into that. Marcus Harvey didn't get back to you - shame on him. Could you send me your email address (colin@colinpantall.com) - in case I have any more questions.